At its 123rd /124th Sessions, the Customs Co-operation Council of the World Customs Organization (WCO) recommended including 10 new codes for bamboo and rattan products in the Harmonized Commodity Description and Coding System (HS), as of June 2014. When the new system comes into effect in 2017, 24 types of bamboo and rattan products with individual HS codes and nomenclature will be classified and recorded by customs officials when they are traded between countries. This progress will help to push forward the trade facilitation of bamboo and rattan commodities in the international market. The enhanced recognition of bamboo and rattan products in the international market will provide the possibility for developing countries to monitor, assess and stimulate the evolving trade and developing markets of bamboo and rattan. The new HS codes will significantly enhance the quality of global trade data of bamboo and rattan, and more accurately reflect the overall status of bamboo and rattan trade. 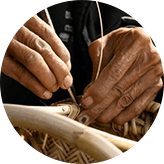 The International Network for Bamboo and Rattan (INBAR) has been working on the identification of bamboo and rattan in the HS coding system since 2002. 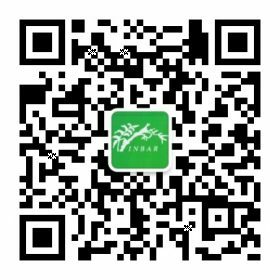 INBAR hopes that the codes will contribute to the development of healthy bamboo and rattan sectors and sustainable development. INBAR hosted a press briefing about the new codes on July 7th at its headquarters in Beijing.